How Do You Become a Play Therapist? And is a Registered Play Therapist Certification Worth the Time and Costs? To become a play therapist you must hold an active license in a mental health field such as counseling, psychology, or social work. Before you can become a play therapist you must go to school, earn a degree in mental health, and get licensed in your field. Each state has a different criteria set up for counselor or mental health licensure in the United States. To become licensed in the state you live in one usually must hold a Master’s Degree or higher in mental health, take a state test, and have at least two to three years of supervision from a licensed supervisor. Candidates must have completed some type of course work in ethics, child development, and play therapy with an accredited degree and licensure program such as APA, CACREP, or NSWA. 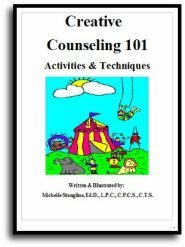 You must have the above training and continue 150 hours of play therapy instruction that specifically says the words “play therapy” in the course title. You also must have completed 500 hours of working as a play therapist under the supervision of a licensed supervisor. You also need at least 50 hours of direct supervision in play therapy. This supervision needs to be from a state approved supervisor. State approved supervisors need to have additional training in supervision. For instance, in the state of Georgia a state approved supervisor is called a Licensed Professional Counselor Supervisor, or L.P.C.S. The Association for Play Therapy is an agency that gives out the certification for Registered Play Therapist. You will need to submit transcripts, social security number, and your play therapy educational coursework in play therapy. You can choose to contact a Credential Coordinator at The Association for Play Therapy and ask them to preview your application for a $50.00 fee. The fee to apply for the registration of play therapy is $80.00 for members of Association for Play Therapy and $160.00 for non-members. The application is on the Association for Play Therapy’s website. To date I have many hours of play therapy training. I have well over 500 hours of play therapy experience and have had well over fifty hours of play therapy supervision. I continue to work as a play therapist, attend major play therapy workshops, and watch the hours add up. I am not, nor will I ever be a registered play therapist. I have never had a parent or guardian ask me if I was “registered” as a "play therapist". I can call myself a “play therapist” but I am not allowed to call myself a “registered play therapist or R.P.T." I have had several years of working directly with children and have had advanced training in play therapy. I have taught play therapy for several years at Mercer University in Atlanta, Ga. I feel that a creative therapist needs to have an eclectic approach and not put too much emphasis on one form of training. 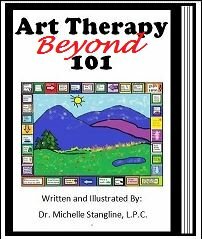 While of course I encourage all therapists to take play therapy training, I do not believe it is necessary to have so many hours in one theory of therapy. I have found myself actuually getting bored learning the same old thing at play therapy conferences year after year. Why do this when you can be learning other areas of therapy to help your clients in different ways? This is the exact replica of the graduate counselor play therapy class I teach at Mercer University. You can follow me step by step at your own pace. 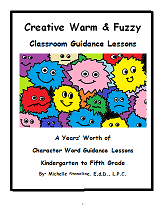 While not an actual "online class" this eBook will allow you to learn what I teach to graduate counseling students. 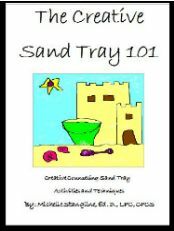 For more information on play therapy eBook see the link below. To learn how to do play therapy it is best to seek supervision with a registered play therapist supervisor. Supervision with a registered play therapist supervisor can be more expensive than regular supervision. You can learn play therapy in other ways as well. It cost a lot of money to become a registered play therapist. I am not sure that the financial benefits are worth it. But, if your thing is to be a play therapist then please don't let this stop you! Whatever you do as a therapist, especially if you work with children, get some training in play therapy. It can also benefit your adult clients. It is advisable to find a registered play therapist supervisor that offers group supervision. For more information go to your state play therapy association. It is also financially beneficial to work for an agency that has a registered play therapy supervisor on staff. Quite often, these agencies can offer affordable supervision or free supervision to licensed counselors seeking the registered play therapy credentials. It is also important to note that once you have become a registered play therapist you will need to have 36 hours of continuing education every three years. You must have 18 direct play therapy hours and 9 non direct hours. When I am acting as a school counselor I use play counseling and not play therapy. Play counseling is not as intensive as play therapy. It is shorter due to the limited time I have to deal with each student. 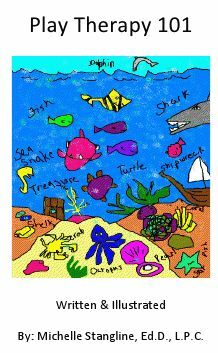 Play counseling does not delve as deep as play therapy. As a school counselor I am limited with my interventions. 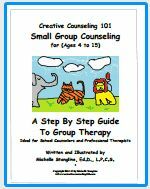 I need to refer a student to an outside therapist if therapy is needed.